Phonebook entries for the handsets can be edited using a simple PC interface, with changes and updates sent 'over the air'. With 5 numbers stored per contact you can be sure that it’s easy to keep all your contact details up to date and organized. 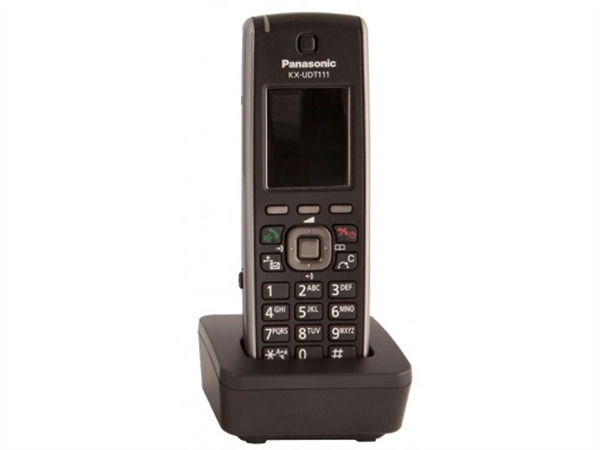 In conjunction with the KX-UDS124CE multi-cell DECT bases the ability to handover calls seamlessly between DECT cells gives you the freedom to move anywhere in the organisation, staying in touch all the while – moving between cells in the same air sync group is completely transparent.